MESSNER, Kate. The Brilliant Deep: Rebuilding the World’s Coral Reefs. illus. by Matthew Forsythe. 48p. further reading. glossary. photos. websites. Chronicle. May 2018. Tr $17.99. ISBN 9781452133508. Gr 2-5 –A child’s fascination with swimming in the ocean leads to important work in his adulthood. 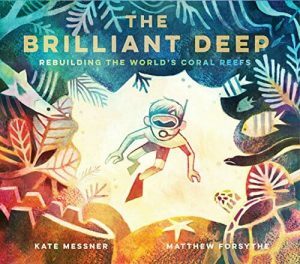 This picture book biography touches on useful lessons beyond the fall and rise of the world’s coral reefs. Messner begins and ends the story with a potent line: “It starts with one.” Following a short introduction to coral reefs, Messner quickly turns to Ken Nedimyer’s Floridian childhood and his love of aquatic life. (“At one point he had thirty aquariums in his bedroom, all bursting with life”). Nedimyer continued to pursue his love of the ocean, first in live rock farming, which then led to his successful efforts in growing corals and replenishing reefs. There’s a lot to this story, and at the same time it’s a quick brush of science, conservation, and a life well lived. The early years of Nedimyer’s life are simply told, but readers may be a bit lost from the start if they aren’t already familiar with coral and algae. The concluding glossary is pretty technical. Teachers and librarians would do well to pair this with any of the fine children’s books on coral reefs listed in the bibliography. Forsythe’s broad pastel sketches sweep viewers along nicely through ocean life and human work. Explanations of coral reef decline and ways children can help urge monetary contributions to the work of restoring the reefs conclude this riveting title. VERDICT A book that can be used in so many ways—a study in biography, science, conservation, and volunteerism. 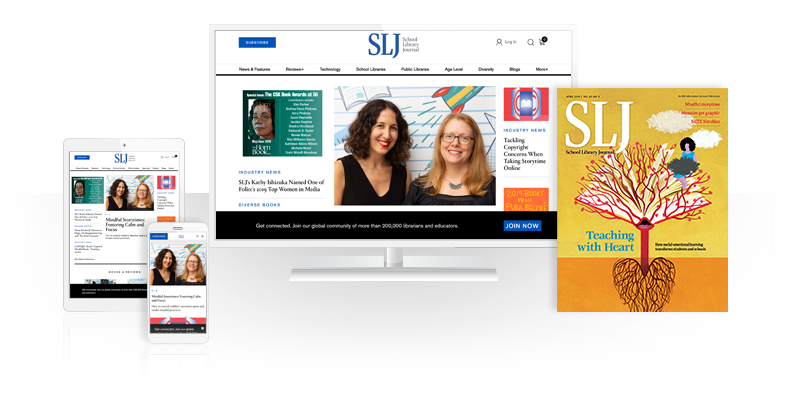 A must for nonfiction collections.–Margaret Bush, Simmons College, Boston This review was published in the School Library Journal May 2018 issue.